The Cannabis Caregiver -- Business Opportunity? For several years now, I have been envisioning a great new business that I would start when legal marijuana comes to Florida. Let me start by saying, I went to college during the dawning of the Age of Aquarius. If I can stop laughing I'll give you my take on the article below. If you are one of my good buddies you already heard my story. If you read -- The Metamorphosis of This Alzheimer's Caregiver (Part One) -- you know I am a curious person. I am always coming up with wacky ideas for new businesses. Not all of them are as wacky as they seem. I would employ retirees and start a new business growing medical marijuana. The retiree would only work a couple of hours a day, and make a lot more then they would working in Walmart (well unless they eat the profit, so to speak). The business plan is simple, straight forward and would be easy to execute. 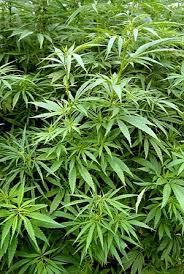 Teach the retiree how to grow marijuana in their home. Provide them with all the raw material and equipment. When the product is harvested pay the predetermined price. It might sound crazy, but the gross margin would be enormous. This would be one incredibly profitable business. A couple of hundred retirees, and you are living on the top of a mountain. Or better yet, in Delray Beach. More good news, there won't be any shortage of retirees looking for part time work in the next thirty years. Like any good idea, there are hundreds of entrepreneurs that already beat me to the punch. It seems that I am not the only person thinking along these lines. The article below describes a completely new angle that I had not thought about previously -- The Cannabis Caregiver. The curriculum covers proper cultivation and breeding, cooking tips and recipes, how to start a care-giving business and Cannabis History 1010. Unlike accredited academic institutions, there is no standard of practices for cannabis colleges in Michigan. Tennant provides his graduates with a paper certificate anyway. It isn't required, but a student could use it to establish credibility as a professional caregiver, proving he or she is "not just some Joe Shmoe off the street," he said. Well, I am no Joe Shmoe. I think I have the credentials to qualify as a "professional" caregiver via this blog, and my six years of experience as an Alzheimer's caregiver. So I guess I am almost there already. If you would like to watch the video version -- go here. I hope you end up chuckling like me. One thing for sure, there might be competition but nothing to worry about at this point. PS...Angil Tarach lives in Michigan -- hint. As states loosen their medical marijuana laws, institutions such as Med Grow are sprouting up, looking to educate potential caregivers about how to enter the cannabis industry the legal way. Tennant opened the doors of Med Grow's 4,800-square-foot facility near Detroit in September, about 10 months after voters approved the state's medical marijuana act. Always wanting to be his own boss, Tennant had dropped out of college to manage valet and auto-detail companies. But when his businesses contracted under the smothering recession, he looked to the medical marijuana industry for his next opportunity, months before the measure was up for public vote. "We knew the law was going to get passed," he said. In addition to Michigan, 12 states have legalized medical marijuana use: Alaska, California, Colorado, Hawaii, Maine, Montana, Nevada, New Mexico, Oregon, Rhode Island, Vermont and Washington. Tennant fashioned part of his business model after California's Oaksterdam University, which claims to be the country's first cannabis college, opening in 2007. Oaksterdam has three campuses in California: Oakland, Los Angeles and North Bay. Spokeswoman Salwa Ibrahim said the institution, which staffs about 50 employees, has graduated about 5,500 students. Oaksterdam welcomes the country's new crop of cannabis colleges, she said. "We welcome competition," she said. "Ultimately, what we're trying to do is change laws locally and federally." Hawaii activist Roger Christie says he connects the high he sustains from marijuana use as a "spiritual" ritual, a practice he believes is legal under First Amendment religion protections. He has been an advocate of marijuana use and legalization for 23 years, he said. Only recently did he add educational outreach to his Hawaii Cannabis Ministry. After reading a news story about a continental cannabis college, he decided to add monthly seminars to his ministry's repertoire this fall. So far, he has educated about 60 people over two weekend seminars. A $100 donation covers the cost of classes and a hemp seed lunch. "We train people to grow the best cannabis humanly possible," Christie said. Med Grow students cover an array of topics related to the budding industry over semester-long courses or seminars. The curriculum covers proper cultivation and breeding, cooking tips and recipes, how to start a care-giving business and Cannabis History 1010. "Students should feel very confident that they're going to succeed," Tennant said. Tennant's school employs 12 people, he said. About 60 students are taking courses during this cycle. Med Grow's five-week semester program, which offers two tracks convening on Monday or Wednesday nights, costs $475. Unlike accredited academic institutions, there is no standard of practices for cannabis colleges in Michigan. Tennant provides his graduates with a paper certificate anyway. It isn't required, but a student could use it to establish credibility as a professional caregiver, proving he or she is "not just some Joe Shmoe off the street," he said. Graduates of Tennant's college won't be leaving their training to set up mass dispensaries. Under Michigan law, state-registered caregivers are only allowed to provide marijuana to a maximum of five patients. In California, students of cannabis colleges have a few more options, Ibrahim said. Students come from out-of-state to become lobbyists, dispensary managers as well as caregivers. "They can do whatever they want to do," she said. Trey Daring, 26, moved to Daly City, Calif., after graduating from Old Dominion University, in Virginia, to work as an advocate for the cannabis movement. His favorite course is advanced horticulture -- it's the most useful, he said. He'll graduate in mid-December. Daring's parents are uneasy about his advocacy of the drug because marijuana is a Schedule I controlled substance under federal law, the government's most restrictive category that also includes LSD, ecstasy and heroin, he said. "I feel like they're understanding now but not necessarily proud," he said. His classrooms are not that much different from ones he had in high school and college: dry-erase boards, PowerPoint presentations and knowledgeable instructors. Perhaps the part that's most different is his classmates. "There are a lot more people over 30 than probably outsiders would believe," he said. Med Grow students also run the demographic gamut. Tennant said his pupils include 18-year-old high school graduates, a 60-year-old pastor and former clients of his old auto-detailing business, some of whom find themselves struggling to keep their own businesses afloat. His instructors stress that their curriculum is for medicinal purposes only, not recreational tips, he said. "I run a very tight operation here," he said. The medical marijuana industry could potentially help Michigan's battered economy, provided it is not abused, Tennant said. Ibrahim of California's Oaksterdam University also sees cannabis as a way to contribute positively to a state's economy. Oaksterdam's Oakland campus recently moved into a 30,000-square-foot building and, she said, the school expects to educate about 1,000 students a month, double the capacity of the previous space. "It really is flourishing in this economy," she said. "We're evidence of it. We just moved into a larger facility when everything else seems to be downsizing." ABCNews.com contributor Katie Sanders is part of the University of FloridaABC News on Campus program.